Twitter is one of the biggest social networking sites; it told us how we can use 140 characters to express ourselves. No one had done this before; nobody even imagined and looks where Twitter is today? Twitter is the darling of social media. But wait; do you have an account on Twitter? I am sure if you are here then you know Twitter and have at least one account on it. But just to emphasis on its value, let me describe it for you. What is Twitter and its significance? Twitter is a microblogging site. Twitter is a social networking site. Twitter is one of the top 10 social networking sites in the world. Current Alexa rank of Twitter.com is 8 in the world and 9 in the US. I think the stats mentioned here are loud and clear, Twitter is critical for your blog or business, Period. I am sure you must be wondering that if Twitter is free to use, why pay for it? But the answer is, you should seriously think about it. As twitter is so popular and important, it has attracted all kinds of blogs and businesses. It is overcrowded and it is not only extremely difficult to stand out in this crowd but also very time consuming to create an impression. If you are looking for quick but permanent results for your blog and business, then Advertising on Twitter is an awesome alternative for that. Advertising on Twitter can provide great boost to your business or blog. In fact, it is widely used by the individuals, blogs and businesses to promote their products, services and branding purpose. It could be very effective for blogs who are looking to do affiliate marketing. It helps you in creating a fan following which could be later used to promote your blogs and affiliate product. But you need to make up your mind about it and see if it appropriate for you. Twitter offers various products for advertising on Twitter. Let’s see what all advertising options are there on Twitter for you? How to Advertise on Twitter? Twitter has created custom products for various needs. These products are meant to suite individual requirement of a personality, blog or business house. Let’s start with the promoted products on Twitter to understand it better. If you are currently using twitter, then you know what a Tweet is? A tweet is 140 character short messages which you use on Twitter. These tweets are promoted on Twitter to provide better exposure to your tweets. So you can use Promoted Tweets to boost the efficiency of your Tweets while targeting them to reach your target customer. For example, you want to promote your blog post. In current world, you post it on your blog and then tweet it to share with your followers. Now, if you have noticed, as the volume of tweets is so high, it is lost within the fraction of minutes, if not seconds. So your Tweet is as good as NO Tweet. But you can overcome this hurdle by using Promoted Tweets. Twitter search – Promoted Tweets are displayed in search and are very effective way of grabbing eyeball while users are searching on Twitter. They appear at the top of the search page in the results. Followers Timeline – You can promote your Tweets in the timeline of your followers, so your promoted tweets will appear on the top of your follower’s timeline when they login to their twitter account or refresh page. You can also target devices like iOS, Android and Blackberry etc. They are excellent in promoting your products as they are able to get better and higher exposure. Click on your promoted tweet. Reply to your promoted tweet. 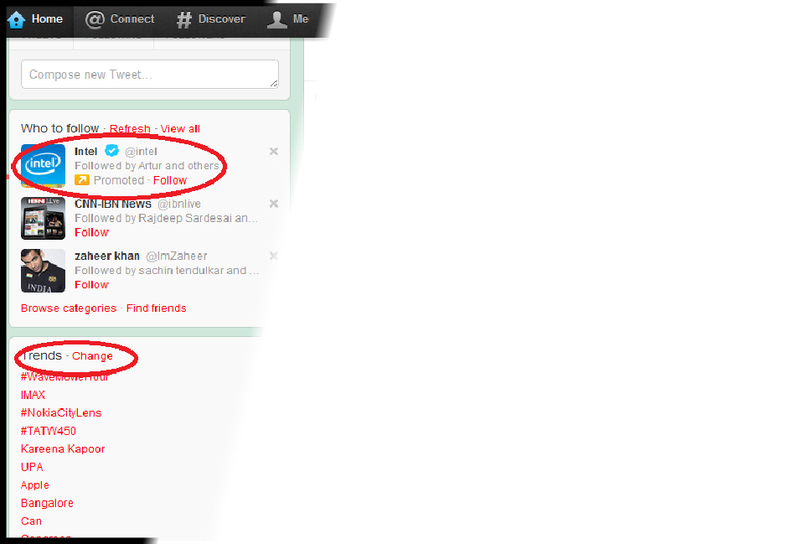 Promoted trends on twitter are another awesome way of creating buzz around your product or brand. Social networking sites like Twitter and Google+ display viral trend on their site. It helps their visitors in knowing about the latest viral trend on them. Twitter Trends appear next to user’s Timeline giving it great exposure just like Promoted Tweets. Social networking sites are most of the time used by its users for fun activities, discovering new things and expanding their social and intellectual horizon. These trends are extremely popular among these users because they often see interesting issues, topics and stories in trends. Using promoted Trends can provide significant hike to your business. Their ability to go viral is exceptional and featuring in it can do wonders for your business. Promoted accounts on Twitter are very good for startups. If you are looking to accelerate your fan base, then this is the right choice for you. As I mentioned in the beginning of this post, these products are extremely useful as the changes they bring in your brand value, are permanent. So for example; if you use Promoted Accounts to acquire followers, even if you stop your paid campaign, your follower will remain your followers and you can always use them to promote your product and services. Number of followers is like a status symbol on Twitter. Your followers are like your brand ambassadors, the more you have, better you are. Promoted accounts should be the first step in advertising on Twitter. And then you should move up in the mentioned order. Promoted accounts appear in search results and within the “who to follow”. Twitter provides a default search in ‘who to follow’ with the profiles which can be used by its users to discover new personalities, content and businesses. Promoted accounts are extremely helpful in taking your followers number to the roof. As it is targeted, most of your followers are those who are already looking for your products in your niche. You can target the demographics to further enhance the quality of your campaigns. Social media is not the latest but definitely a buzzword in current world today. 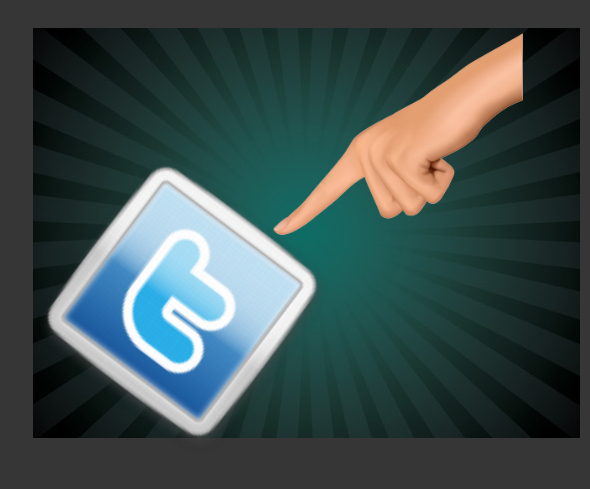 Advertising on Twitter could provide the much needed push to your business. But like any other paid campaigns, it has its own share of cons. But still Twitter is one of the best options available to take your business to the next level. It cannot solve your every problem, nobody can do that; but advertising on twitter is like an adrenaline shot which can definitely revive your struggling business. Facebook Advertising or Twitter advertising can produce great results if used properly. You need to select a channel which is appropriate for your business and you know how to use it. And like i always suggest, don’t do it if you don’t know it. And yes, don’t forget Linkedin Advertising too. If you like it, please share on twitter. If you don’t like it, please leave your comment and let us know why?